The American Precious Metals Exchange (APMEX) is one of the world’s leading Precious Metals dealers. 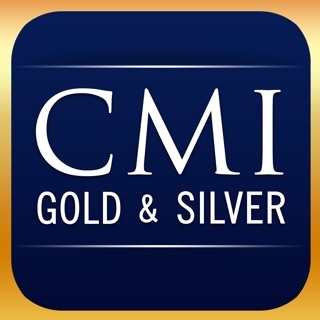 APMEX is proud to offer an extremely reliable iPhone application that will provide you with FREE, up-to-the-minute prices on Gold, Silver, Platinum and Palladium any time of the day or night no matter where you are. 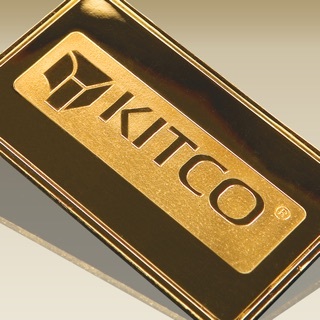 - Live Gold ,Silver, Platinum and Palladium Prices in US Dollars per ounce. 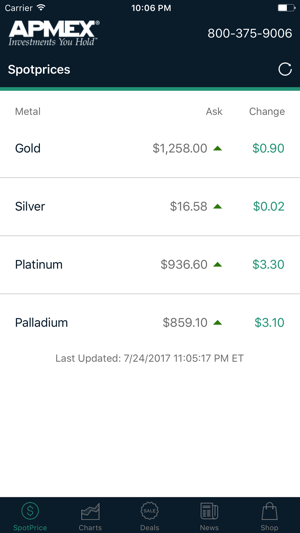 - Live Gold, Silver,Platinum and Palladium Price Chart history of 1 day, 1 Week, 1 Month, 3 Month, 6 Month, 1 year and 5 years. 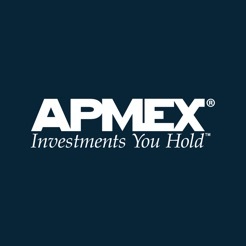 - Access to APMEX Vault Deals. 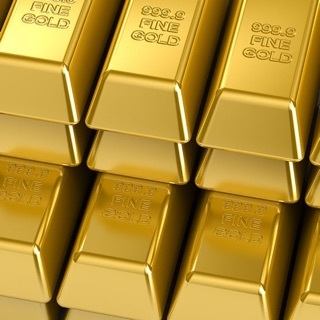 You can find great deals on Gold, Silver and other Precious Metals. You can immediately click on these products and save. No APMEX promo codes needed. Many of these prices are below market rate premiums, giving you a chance to save money while diversifying your Precious Metals portfolio. 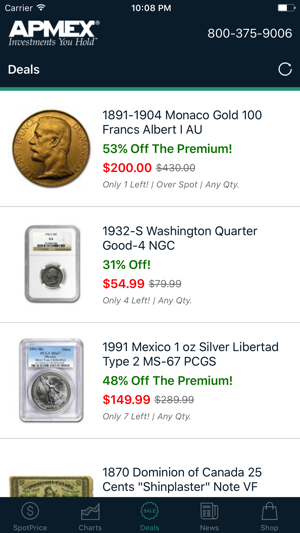 With a variety of APMEX Vault Deals, investors can find Precious Metals bullion at great price points. - Access to The Daily Market Report. Provides more than a simple opening and closing price rundown. These Market Reports can provide valuable information about the possible reasons behind movements in the markets. 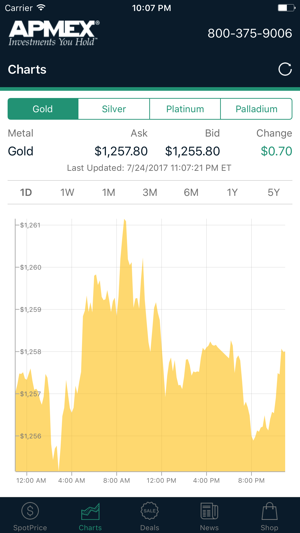 APMEX Gold and Silver – the most complete Precious Metals application from the most trusted name in Precious Metals – the American Precious Metals Exchange. 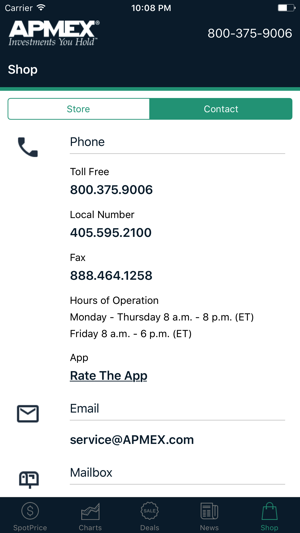 Thanks for using the APMEX app. We have updated the app with optimization and performance improvements. This is a great app for tracking spot prices. It has a clean interface and is user friendly. 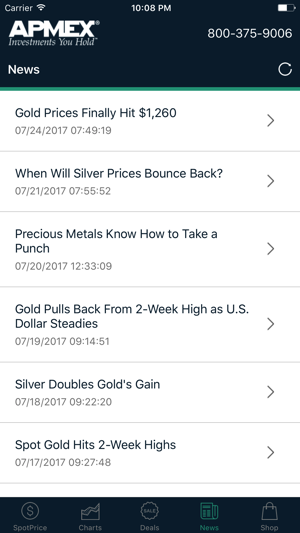 I would love to be able to sign in to my APMEX account on the app to see my holdings, track orders and see past purchases. Also, a home screen widget for spot prices would be awesome. As usual, APMEX leads the way in product availability and variety, pricing, account features and customer service. I wouldn’t use anyone else. I’ve been using this app for a year now, and have had one issue with quality. Which they corrected within a week. It literally gets to my doorstep in 3 days no other app can compete. I also love the portfolio tool really cool to watch your investments. I use this app daily for a quick reference. It’s been “spot” on the prices as I research other venders as well. I recommend to others needing a quick spot reference as well as price history and access to their other products. 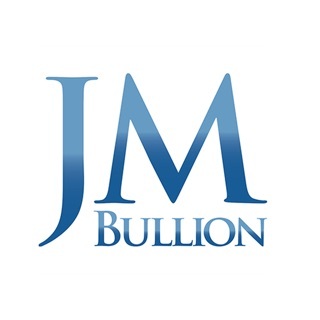 © American Precious Metals Exchange, Inc.